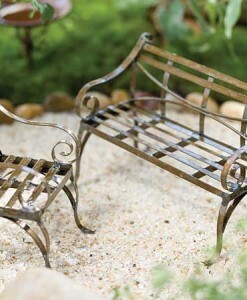 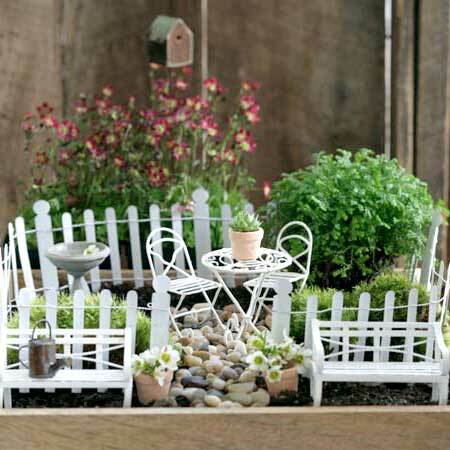 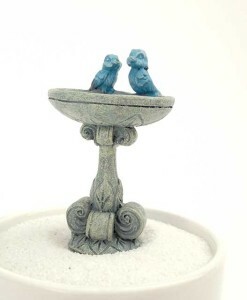 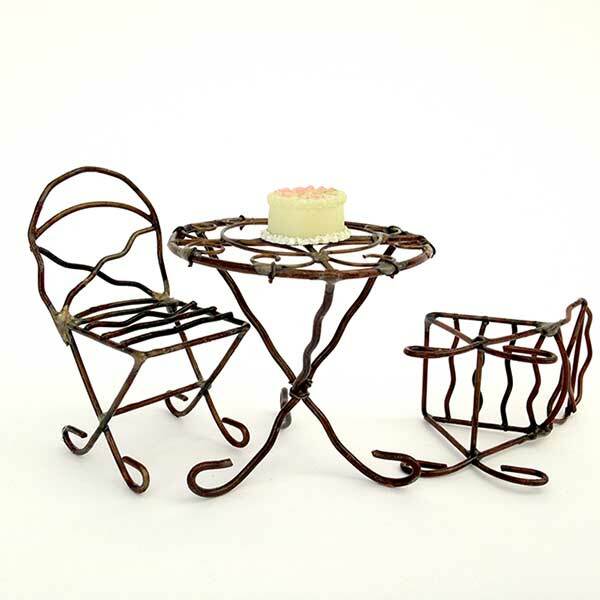 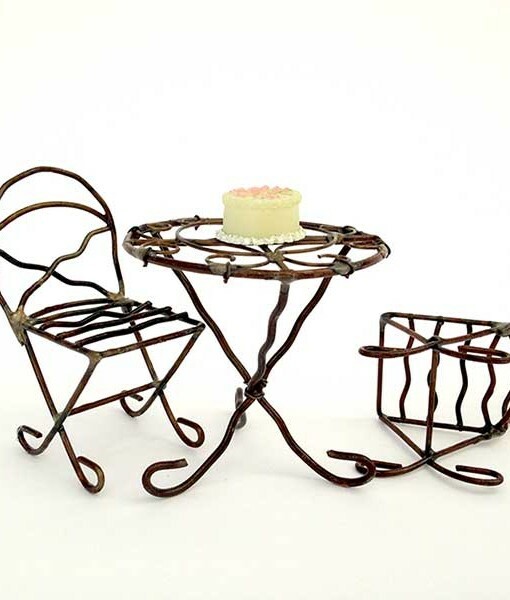 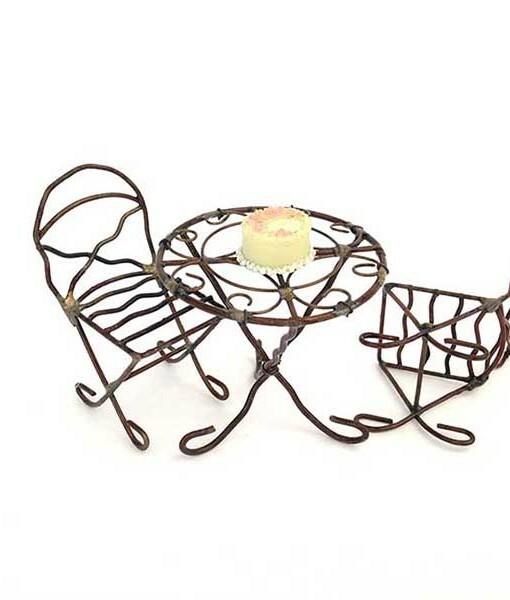 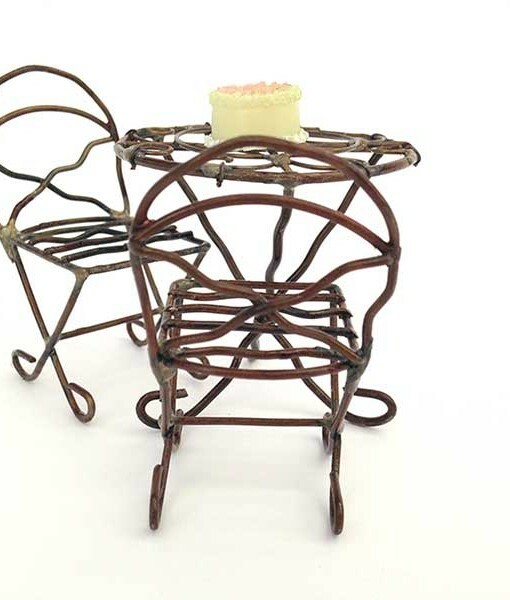 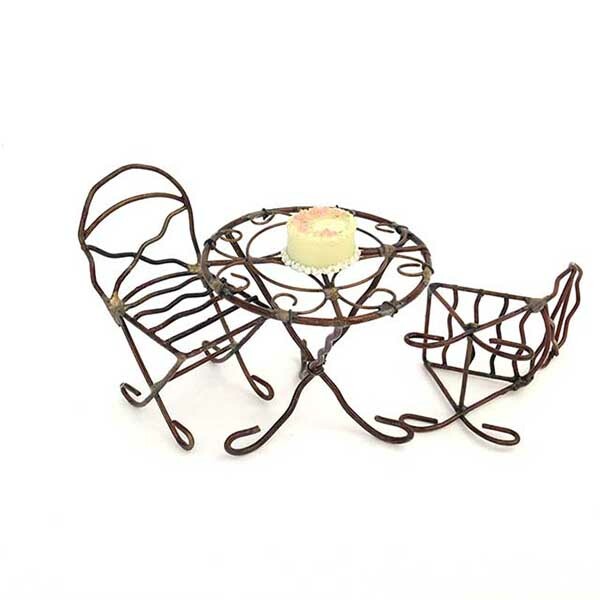 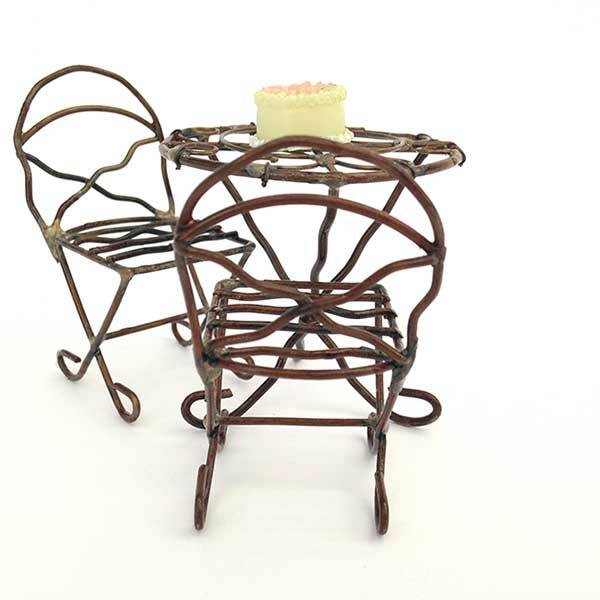 This rustic wire miniature fairy garden patio set from Jeremie works with so many styles of fairy garden. 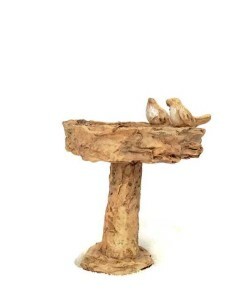 Choose rustic or white. 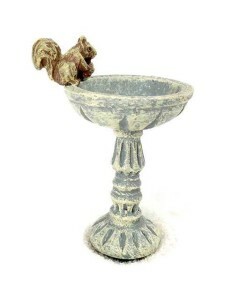 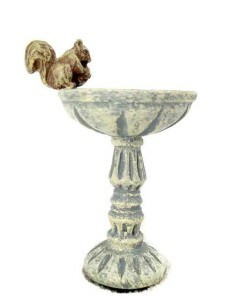 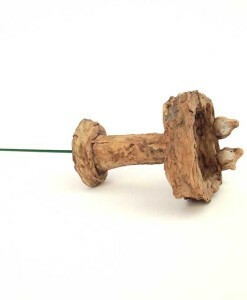 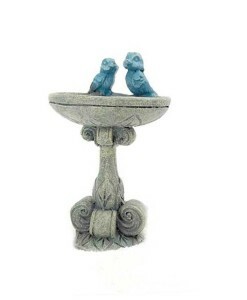 This rustic wire miniature fairy garden patio set from Jeremie works with so many styles of fairy garden from mossy woodland scenes to country chic. 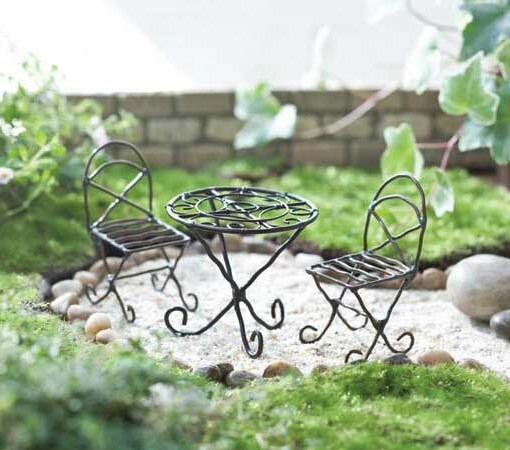 Includes table and two chairs ready for fairy parties.